What Is The Cost Of Developing An E-Card Making Mobile App? Gone are the days, when people used to send greeting cards on birthdays, valentine’s day, Christmas, etc. Creating cards or finding the perfect one in the stores, sending out tons of cards to your family and friends, wasn’t it all a bit hectic? Thanks to technology that now we have E-greeting card apps to solve our problem. The E-card apps are available on both Android and IOS platform. Creating an E-card online or on an app is so effortless and it also comes with so many customizing options to help users give the card a personal touch. The best part is that it will cost you almost nothing as compared to the heavy delivery charges that you would have to pay for sending out tons of cards. It is a digital alternative of our old styled traditional greeting cards. It can be greeting cards for various occasions or postcards or better yet even digital video cards that can be instantly sent and received. Users can create the E-cards on multiple internet sites and now on E-card mobile app and one can be creative with it. Other than money and time it saves our very precious environment too, because of ‘no paper.’ Way less carbon footprint than our traditional paper cards. Users can send the e-cards to numerous people at a time irrespective of how far that person is from the sender. It can be saved and viewed on any device like mobile phones, tablets, computers, and even your television sets. Unlike greeting cards, the purpose of E-cards isn’t restricted to holidays and occasions only, and it can be used for business purpose as well. Business owners can send it to their clients to maintain a healthy relationship with them. According to the present scenario, many businesses have launched their e-card maker apps. Users can get creative with the e-cards to surprise their loved ones. Many of these apps have pre-defined templates for occasions, holidays, special days and everyday reasons. Take your feelings and mold it into a beautiful e-card and speak out your emotions through it and dazzle the receiver with your astounding e-card design. These simple to use e-card maker apps allows the users to convey the message with aesthetic taste, keeping the receiver’s preference in mind. These apps have a lot to offer to its users, and it will be a profitable venture to generate massive revenue if you are planning to develop an e-card maker app. Yes, one can always send an e-mail. It is also cheap, time efficient and digital. But think about it; it’s your birthday, and a friend of yours sent an e-mail in black and white, no colors and no pomp which you will expect as it is your day. Whereas another friend of yours sent a colorful and personalized E-card with popping animations and creative design. None of us can say that E-mails are not personal or out of fashion, but when it comes to a special occasion or a day to celebrate, one would like it to be fun and lively. These mobile app developing companies usually come up with new and fresh ideas every season and occasion, thus giving a vast and wide range of options. Therefore, one can say that when it comes to a memorable moment E-cards are the winners. These E-card businesses have depressed the traditional greeting card businesses. And now that e-card is available easily through E-card mobiles apps one can only say that in due time traditional ways will shrink even more. E-card business is growing at a constant pace, and this is the reason why a large number of companies have started to develop their own e-card maker app. It is now a new favorite of people of different demographics. Everyone leads a very demanding and fast paced life and thus wants to save some time finding time-efficient alternatives. The mobile app development companies are going an extra mile to work towards technological advancement of many businesses and to help them provide their users with the best solutions. Thanks to mobile phones. Today Mobile app can reach customers in different locations across faraway countries. Using various geo-location techs, users can engage in location-based marketing and caters to the global audience. Staying in the visibility of customers is the need of the time, due to huge competition, today mobile app businesses are busy building a lasting impression in customer’s mind which will help them to be remembered. Also, a creative and unique application icon on the user’s phone’s screen helps a lot. Exceptional user experience is one way of retaining loyal customers. It can be achieved by optimizing features, smooth design, and a user-friendly interface. It has become easier to gather accurate customers data like demographics, location, preferences, and buying habits through various sensors within the mobile phone. High customer engagement with real-time feedbacks and insights has made marketing a lot easier. Whether it is a smooth and non-glitch user interface or helping customers with their concerns, feedbacks, complains, etc. overall increases the customer experience. Engaging customers with personalized offers, reward programs, loyalty rewards, coupons etc., help in customer retention and satisfaction. Optimizing the mobile app to have a higher rank in the search results help in increasing the visibility of a mobile app in the app store and thereby assists in boosting the app business. It’s a marketing campaign strategy used by various mobile apps these days. They use customers as their campaigners. No doubt Adam L. Penenberg gave this idea to make the product viral. Like mentioned before, it is a marketing strategy and a very effective one when it comes to digital products like mobile apps. The idea is from viruses; yes, the one we read in our biology classes, they are very efficient in one thing, that is to spread. Viral loops are mainly used to spread one’s business. Here a new user spreads the idea with his/her friends, so here the customers themselves become the marketers. With the correct strategy, a business can grow aggressively. It is mandatory to have a great product, a good strategy and a better understanding of the demographics the business owner wants to cater to. But one of the most important factors involved in it is the incentive to the customer. An exciting and useful incentive can attract a user to spread the content to their friends and family who are also potential customers. The user can design straight forward greeting cards, good for business purposes like sending cards to customers or clients. Prices are affordable and decent. The main attraction of this app is that it specializes in handwriting and users can customize and personalize the handwriting for the messages to be added to the card. It is also well-known for its automatic mailing service. The site can be slow at times but have a smooth interface for easy navigation. Pricing: $3.50 per card approx. It is known for its variety in its offering and therefore, one of the favorites when it comes to E-card mobile app. For developing this app, you should Hire Dedicated Developers. The users can choose from various options of tones, styles, and occasions. Messages are digitally printed, and users can choose the font style, font size, alignment. The users can also add photos and personalized messages. Cardstock is of high quality, and one can even choose an estimated delivery date, along with this, the users can also save essential dates and days in their Postable account to get timely reminders. Businesses using Postable can upload their business logos on the cards as well. The users can order single or pack of cards. Pricing: $4.50 per card approx. Most users who are in a hurry prefer to use this app. This one is also the favorite go-to app for E-card. The users can always add images even if it is not available in the app. Few background color options are also available. Users can order one or a pack of cards in a glossy or matte finish. Users have to use the mobile app for creating and ordering the E-card. Pricing: $4 per card approx. The app offers a huge collection of handwriting and card styles. 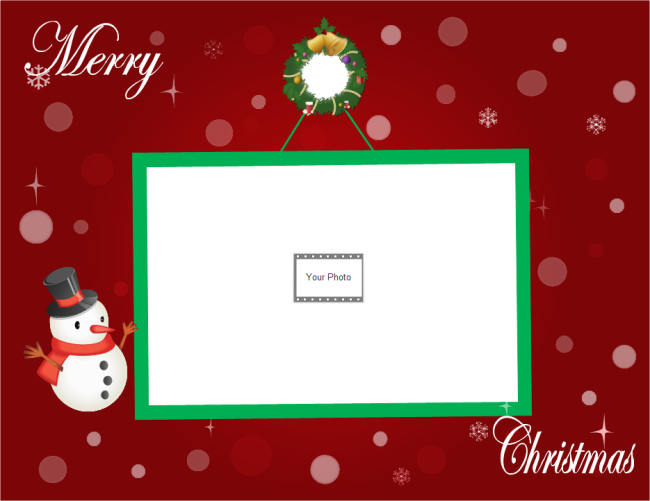 Users can make personalized cards using the add photograph feature and filters available within the app. One of the best things is that the user can write using stylus or fingers, so the recipient will get the message written in the sender’s own handwriting, and not the printed one. Users also have an option to add some cash, gift or confetti for some extra charge. This is a mobile-only app. Users can add images and filters and add their own message to the card. Pricing: Approximately $4 per card. The variety of options to choose from for various occasions. The messages are written by hand. This app is famous for using a lot of colors and fun on their cards. The users also have a lot of upsell options to choose from. Users can add confetti, images, some extra characters for messages for some few extra charges. Pricing: Approximately $6 per card. E-cards are a pleasant surprise for the loved ones on any special occasion. So, you can say that these apps have to be very user-friendly so that anyone can use it without any difficulty. Usually, these apps have a straightforward and smooth user interface which gives user’s easy navigation to the functions of the app. Often, the company developing an E-card mobile app must keep in mind their customer’s primary need. Option to add images and filters. Option to edit and resize content etc. Choose a card after opening the app. Create a background, put colors, frames, etc. Add images to the card either from their collection or from your collection. Write messages in your chosen handwriting and font size and style. The basic steps remain the same for every E-card mobile app. But the customization depends entirely on you. Change an image or upload an image from a personal collection or the app collection. Modify the font size, font style. Change the background style, color, or use an image for it. Also, one can add text boxes and flair to make it more impressive. Add all the bling you want or keep the card simple and straight forward, it’s all up to the users. Users can create the layout of the card too by choosing where all the elements will fit. It is all about one’s imagination and creativity. If you want to develop an E-card mobile app, then there are several functionalities you will need to keep in mind before proceeding towards designing. Providing a variety of graphics and pictures to choose from. Users can choose from the library or their collection. This feature provides a handwriting and font library to choose from. It will make sure that mobility is not restricted while using the mobile app when the user is creating E-card. All the necessities like background design and color, layouts, frames, filters, etc. must be provided within the app to create the base for the E-card. Ample storage should be available so that the users can store all their E-cards. Users should have a good collection of occasions to choose from so that creating a card is not restricted to only some occasions. Users can be from any part of the world, and one should have options to change the style, this way you can attract users from across the globe. Users should be able to add videos to make it a video card, packed with setting like adding music, add background music and set the speed of the music. It is really important for marketing and promotional purposes. Integrating social media sharing option on your app will allow users to share their e-card on social media as well. This feature helps the admin to track and monitor the users in real-time. The user should also get an option to add the desired music into the video’s background, and for that, the app must be equipped with a wide variety of music. Users should also get an option to adjust the video’s speed. How To Monetize Your E-Card Creator App? The users should get a free subscription for seven days and after that, if they want to use the app, then they will have to pay the subscription amount fixed by the app owner. The app owners can put some premium themes and stickers in the app for the users to buy. The app can generate revenue via these two models. To develop a superior E-card mobile app, it will take a proficient and experienced team. The mobile app development companies are growing at a great pace. Therefore, it is no surprise that most businesses and individuals are so curious to know about the cost of developing an app. How Much Does It Cost💵 To Develop An E-Card Mobile App? Creating a mobile app not only will need ideas and specialists but also there is a need for money. The cost of developing an app may vary from country to country. The South Asia region has the lowest cost per hour as compared to the cost per hour rates in Western/Eastern parts of Europe and America. Keeping everything in mind, to develop the E-card mobile app with the most basic features and for a single platform may cost around $15000 to $20000. If you want to add more features, then the cost may rise up to $30000-$35000, but with this much amount spent on the app will get you a high-end app with the most advanced features. The entire craze about digitization and mobile applications can assure you one thing that it will not be a failed attempt. Instead of giving your project to any freelancer, you must consider giving it to one of the top-rated App Development Companies. A company will not only think about the cost of the app but will also think about getting the returns for your business.